This has the prestigious honour of being the first single malt scotch I ever tried. I was about 16 I think so it was technically an illegal dram (very naughty). Anyway, I did rather enjoy it (the secret ingredient was crime) and I realised that it was a step up from the cheap blended scotch I had had up until that point. I guess you could say it’s what started me on my whisky journey. Baked apples followed by sharp apples, honey, lemons, slight sherry notes, and some cider. A little reminiscent of The Balvenie 12. Grapes with some Armagnac like qualities coming through a little. More apples, pears and citrus (Jif lemon juice), honey and baking spices. It has a forresty element to it as well. Always get a spell check alert for my made up adjective “forresty” – probably because it is not a word – basically it reminds me of a forest. Very faint and unassuming. Apple juice and some oak. First up, this is a remarkably drinkable whisky. It is so mellow and easy to drink. It is quite fruity on the nose and the palate with the apple / cider / citrus flavours quite prominent along with the honey. It’s also not too heavy on the sherry from being aged in the Oloroso sherry casks, which is good for me as I don’t like too much sherry. I like it. It doesn’t make you sit up and take notice and I wouldn’t order it in a bar if there was a reasonable selection available, but I would happily buy a bottle. This is also a great whisky to have in to share with guests who might only be casual whisky drinkers. It is mild and enjoyable with some good flavours and it’s unlikely anyone would dislike it. Both the 15 Solera Reserve and the 18 Small Batch Reserve are superior in the Glenfiddich range however and the price jumps are not huge so you may want to go for one of them instead. 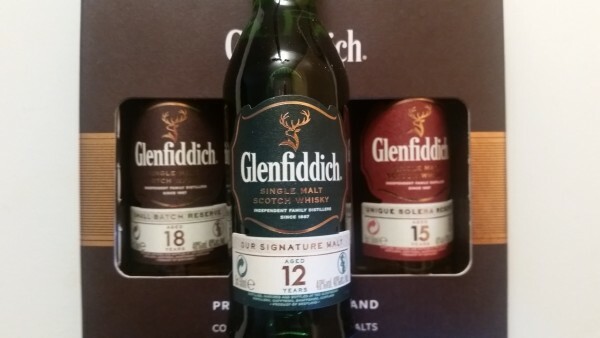 This review of the Glenfiddich 12 originally appeared on Whiskeybon. I like to drink all types of whiskey especially bourbon and enjoy writing about it.